As of January 1st, you cannot set down an object to help in taking your stance. There are a good number of players who are in the habit of laying down a club at their feet to help them line up for a shot. I actually have a friend who used to do this on every single shot. Now that the new rules are in effect, she is struggling to feel confident about her line up. As we know, at the recreational golfer level, it’s mostly in our heads so she should be fine with a few more rounds under her belt. 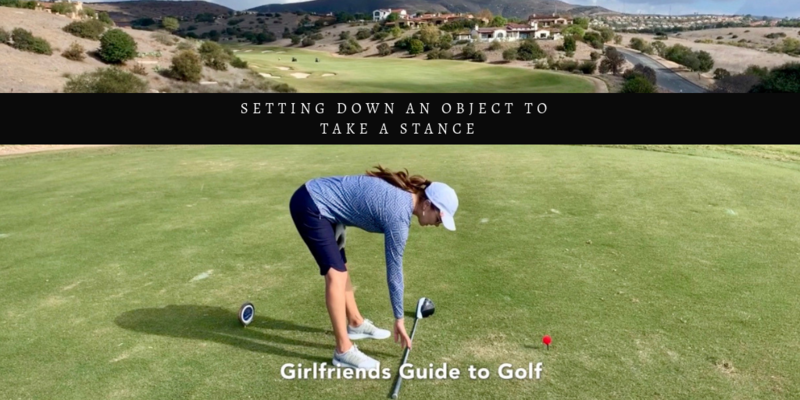 Did you know that you can’t set down the club or any other object to help in taking your stance? Rule 10.2b(3) No Setting Down Object To Help in Taking Stance. “A player must not take a stance for the stroke using any object that was set down by or for the player to help in lining up his or her feet or body, such as a club set down on the ground to show the line of play”. There are lots of online videos about how to line up properly, so if you’re in the habit of using a club to help you line up, you may want to check one of those out to find antoher method that suits you.